It was my mother-in-law's birthday on Monday so naturally I took it as an opportunity to make a delicious Fall treat and meal. Naturally, I didn't take a single picture of our get together or my MIL on her birthday. Space cadet over here. But I am pretty proud I remembered to take pictures of the cupcakes. Typical of our generation, photograph the food. For dinner we had a super simple, yet delicious roasted pork loin. All I did was cut some slits in the pork loin, mince 3 garlic cloves and add rosemary and salt. Cram those ingredients into the slits for flavor and then sprinkle some olive oil over the top of the pork in the pan and add a little more rosemary and salt to the top. Bake it for an hour at 350 until it's no longer pink in the middle. Dunzo! We also had some corn, green beans and rolls along side the pork. I used a generic vanilla cupcake mix and just added a tbs of cinnamon and nutmeg. Bake cupcakes according to box directions. While the cupcakes cool, blend the ingredients sugar through salt in a mixer. Beat until smooth. 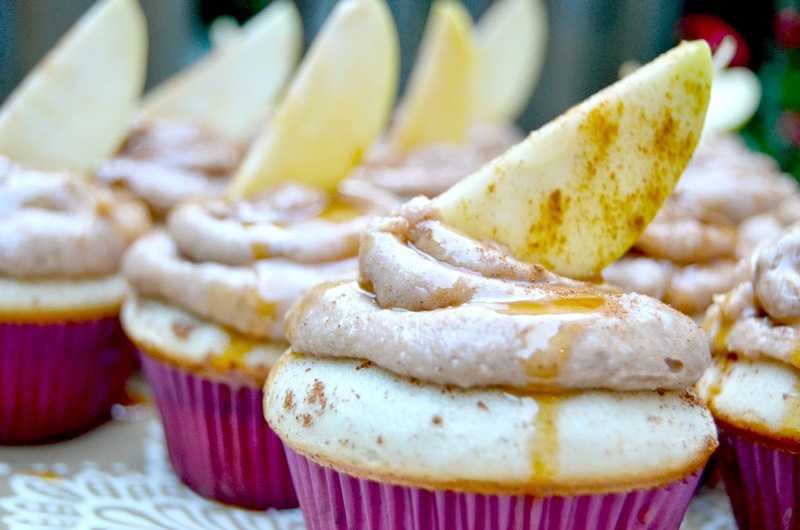 Top each cupcake then drizzle with caramel sauce and cinnamon and top with your apple slice. Viola! 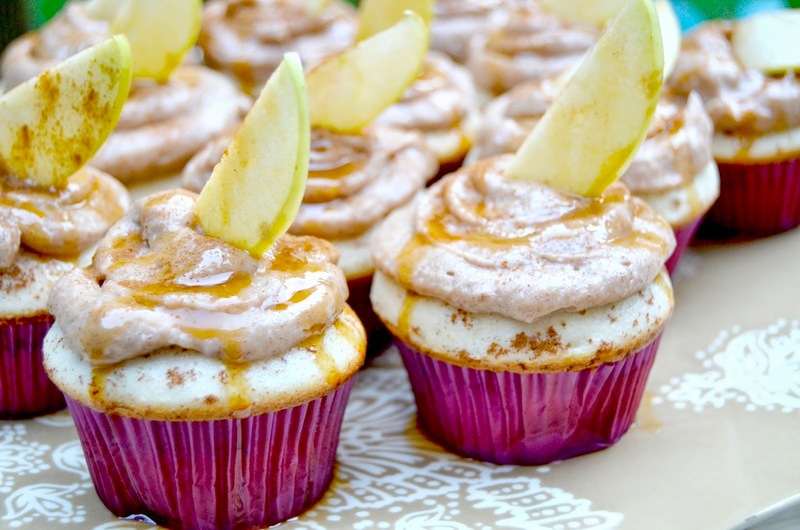 12 comments on "Bon Appetite || Cinnamon Vanilla Cupcakes w/ Caramel & Cinnamon Cream Cheese Frosting"
Yum, these look too beautiful to eat! Oh my goodness Maegen! These look absolutely amazing. I would just have to leave the nutmeg out, but I know they'd still be awesome. Holy yum. Um I am not eating sugar right now for a health condition i have...this is not helping but oh goodness! 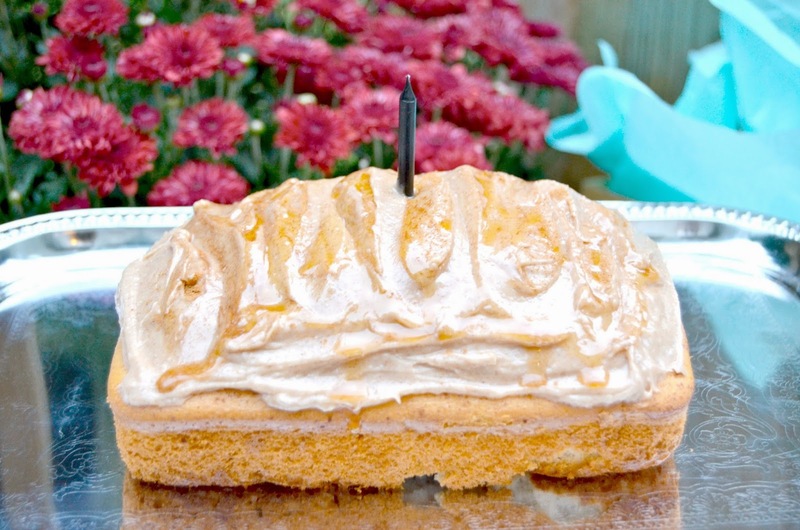 This looks absolutely to-die-for delicious!! Oh my goodness!!! Are these for real?!! They look amazing! This is my kind of dessert, for sure! Yum!!! I need these ASAP! They look amazing! Yummy!! The pork loin also sounds phenomenal!